How to “Grow” Morels, Plus Recipes! 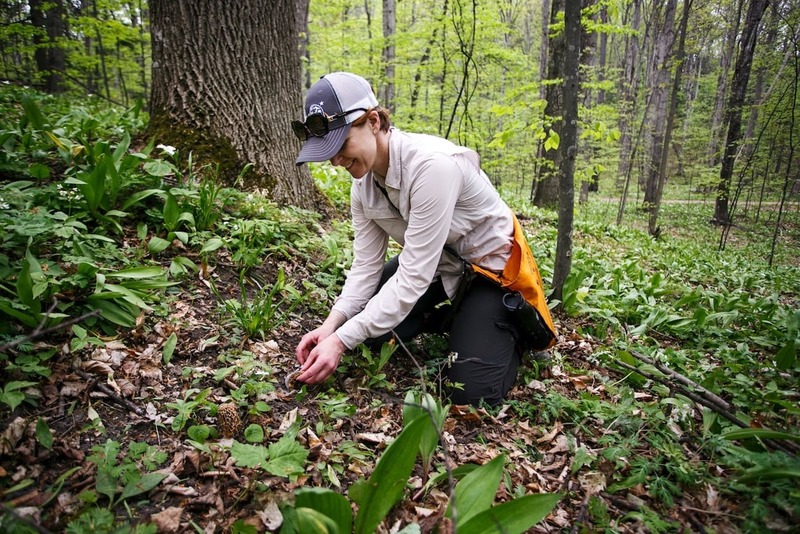 When Julie H. Case isn’t writing about travel, wine, or weird science, she can be found deep in America’s forests, foraging for mushrooms, including morels, which she blogs about at soIgather.com. 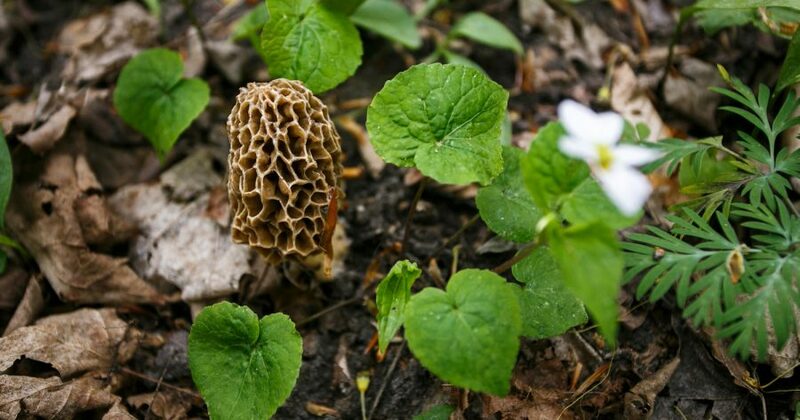 She shares her tips on how to grow morels and three of her favorite recipes. Read Julie’s story, “My Morel Compass,” in the May 2018 issue of Traverse Magazine! Place freshly picked, unwashed, morels in a glass bowl. Add warm, non-treated water until it liberally covers the morels. After soaking, remove morels from water, pat dry, and set aside, retaining the water. Pour the (now spore-laden) soaking water on the ground at the site of the morel patch. Prep and cook the morels and wait for more to grow! Pick: Cut morels from the stem, versus pulling them up. Not only does this help keep morels cleaner en route to the kitchen, it keeps mycelium underground for regeneration. It can’t hurt to carry your haul in a net bag, either, so spores can fall onto the forest floor along the way. Clean and Soak: Slice large morels in half. This improves the removal of bugs that may be hiding in the hollow stem. Place morels in a glass bowl and cover liberally with water. Soak long enough for any critters to escape—10–20 minutes on average; longer if you prefer—morels that are exceptionally dry at harvest can benefit from extended soak times. Remove morels from water and pat dry. Cook: Always cook morels thoroughly. Undercooked or raw morels can cause gastric distress for some. While morels are still just slightly damp dredge in flour. Heat butter in a pan. Fry morels in butter. Salt and serve. Slice morels, leaving small ones whole. Salt and sauté in butter, then set aside. Sauté shallot and set aside. In the same pan used for cooking the morels and the shallot, cook scallops over medium-high heat until barely done—1 to 3 minutes per side. Remove from pan and plate. Deglaze pan with vermouth. Add morels and scallops back to heat, briefly. Top each scallop with a morel and some pan sauce. Serve. *In the grocery you may see “wet” or “dry” scallops. When possible, buy dry. Wet scallops are scallops that have been treated with a solution of water and sodium tripolyphosphate, which preserves and plumps them, especially for freezing. These scallops typically shrink in the pan and are flavorless. Toss sliced chicken breasts in wonder flour. Sauté in olive oil until almost cooked through (but not quite) and remove from heat. Sauté morels in same pan. Remove from heat. Add mushrooms and chicken back to pan, then add in sour cream and cook on low, stirring occasionally, until cooked through. Serve.